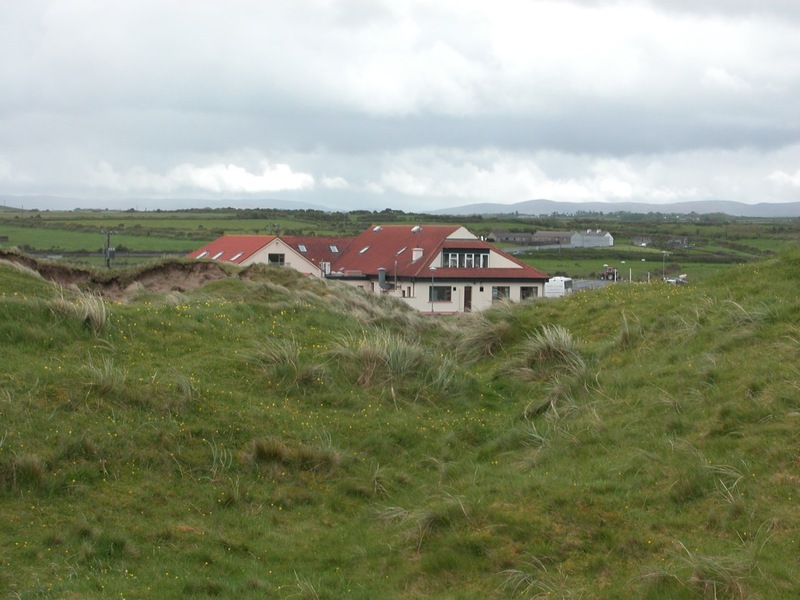 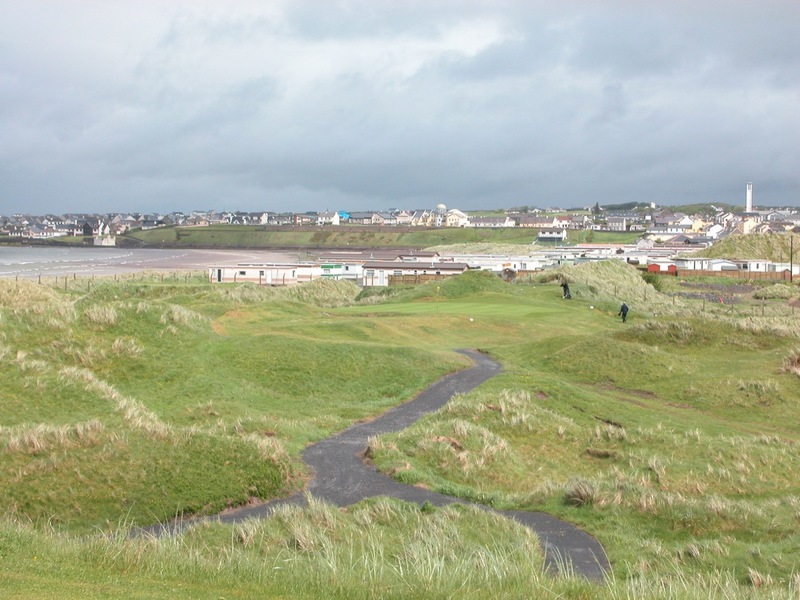 “Enniscrone,” “Inniscrone,” “Inishcrone,” there may not be a consensus among the locals on the spelling of the name of this little Irish village, but the consensus here is that Enniscrone Golf Club may well be the single most difficult golf course in all of Ireland. 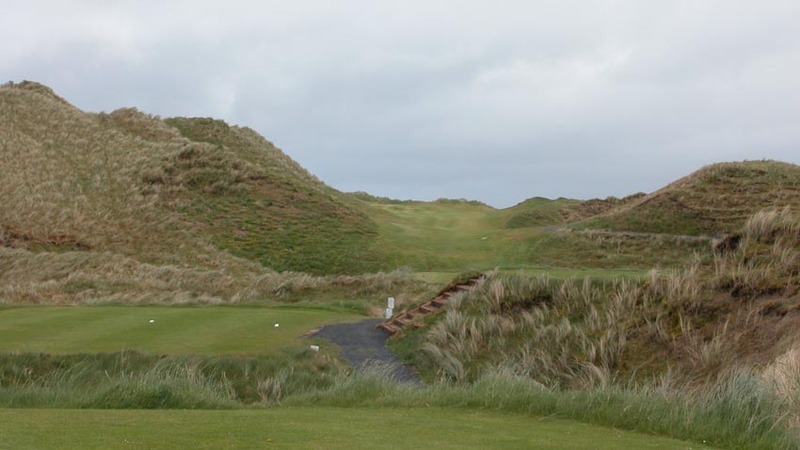 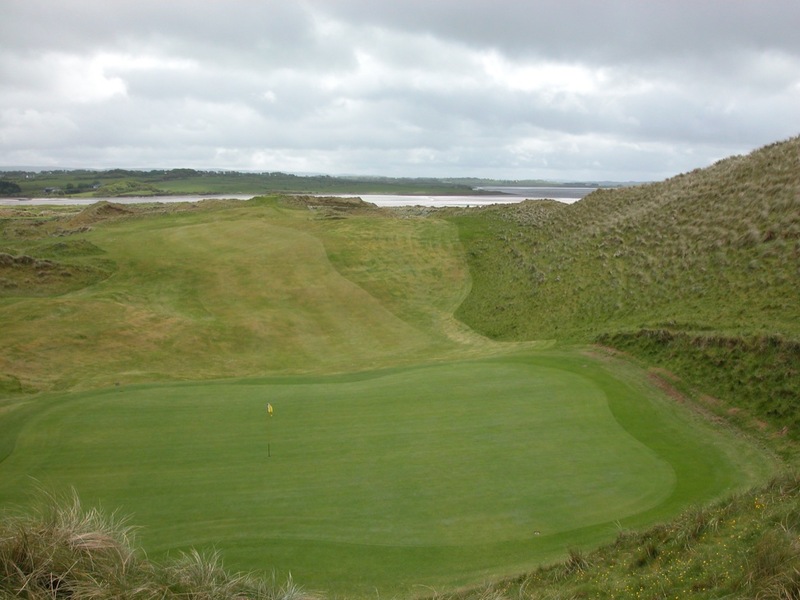 Originally designed by Ireland’s Eddie Hackett, Enniscrone Golf Club was updated by Donald Steel with six new holes among the towering dunes, so tall and steep that the local children can “sledride” down them in summertime! 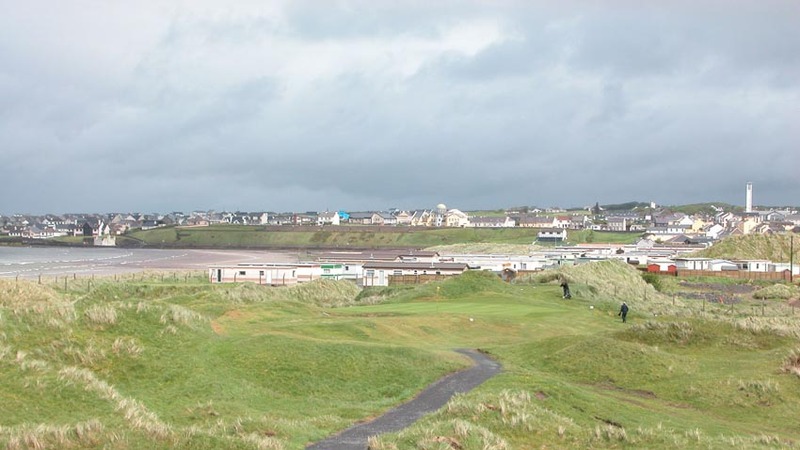 The result of Mr. Steel’s work is a punishing test indeed. 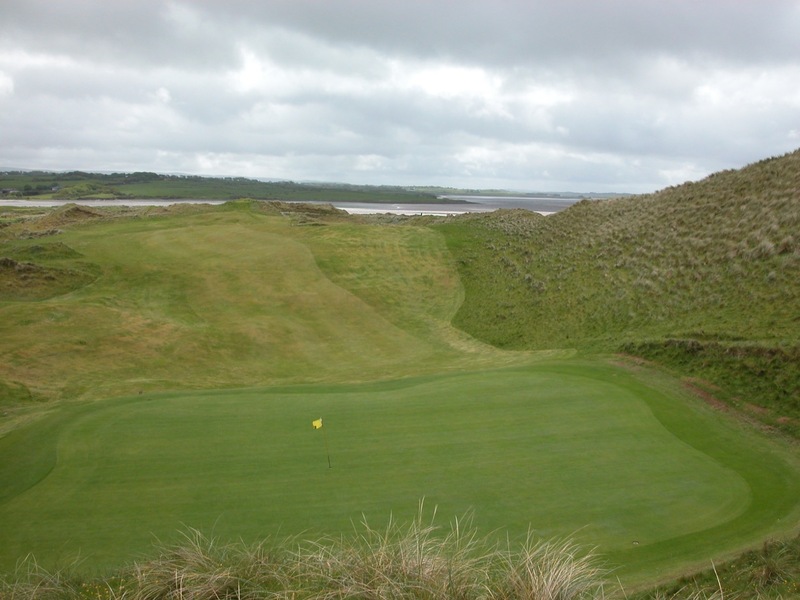 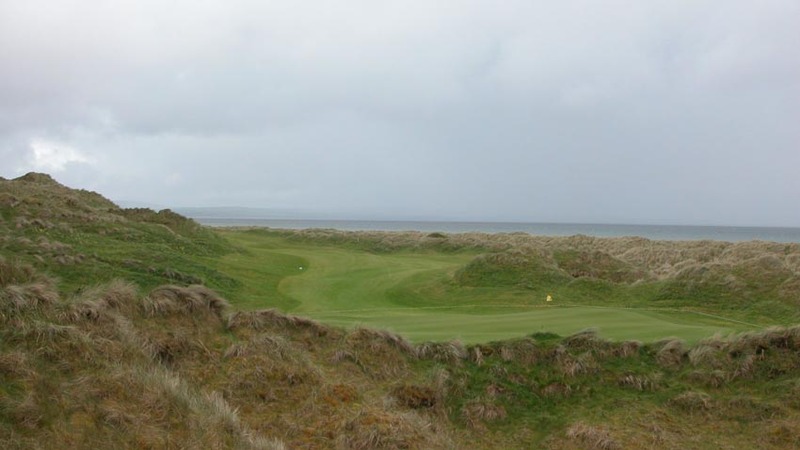 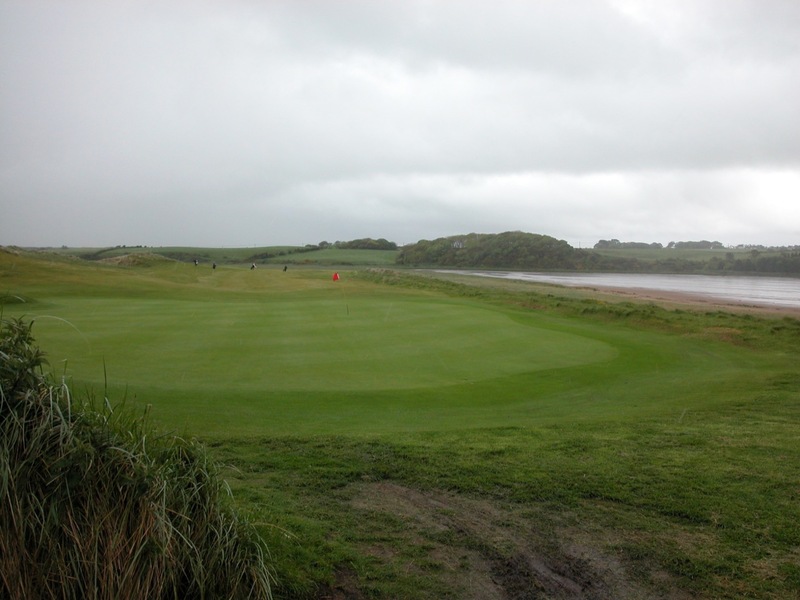 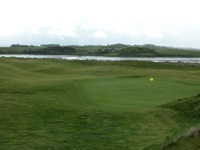 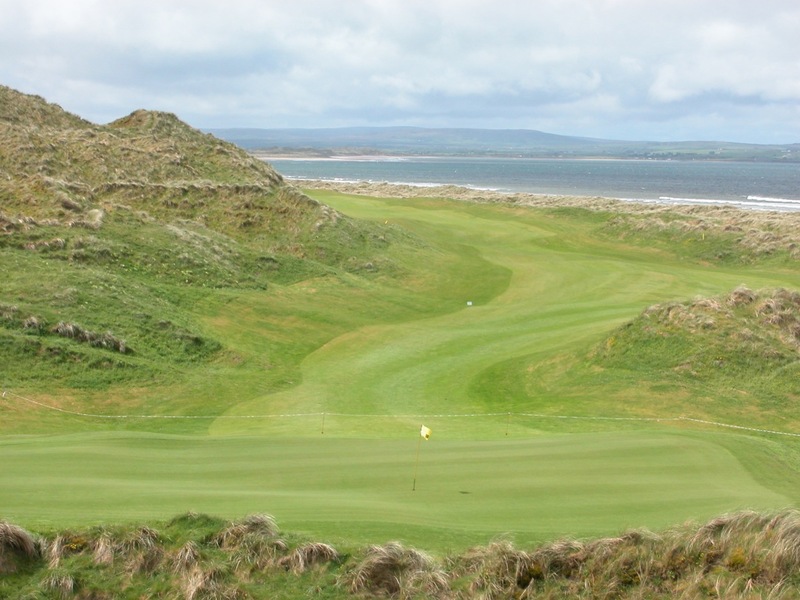 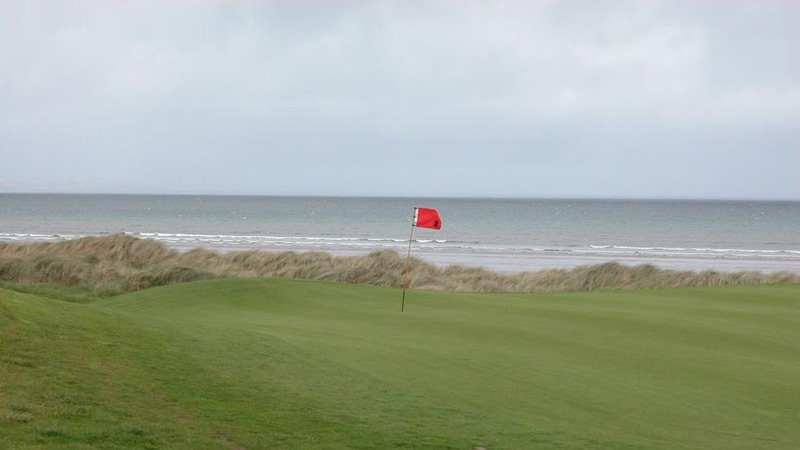 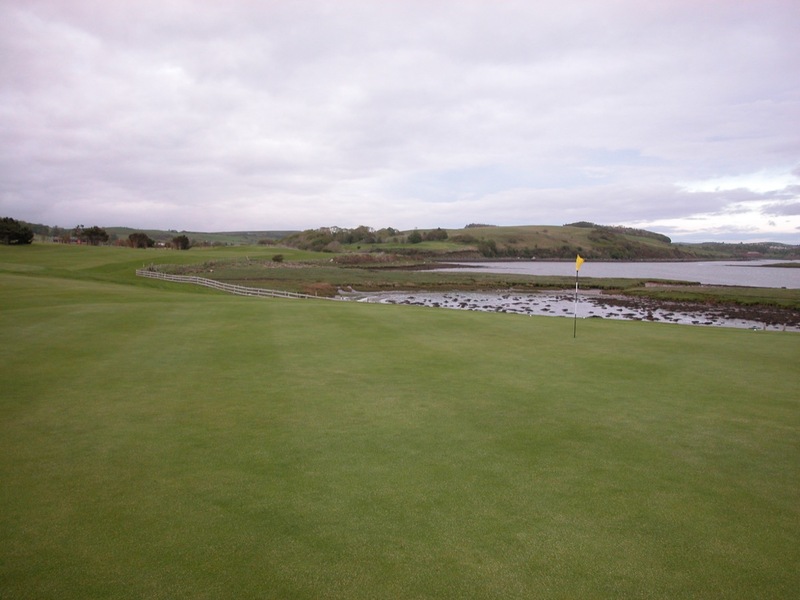 Enniscrone Golf Club simply has no letup, save for just one or two holes, from the first tee to the 18th green. 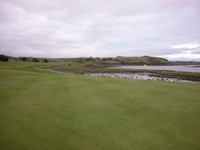 The ball must be kept in play if you expect to finish! 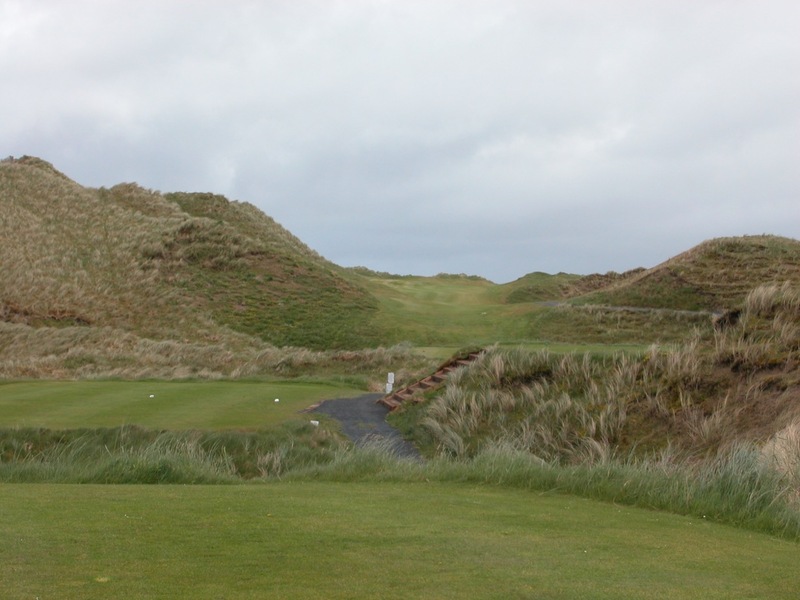 Only briefly does the player depart from the deepest of the hollows between the dunes. 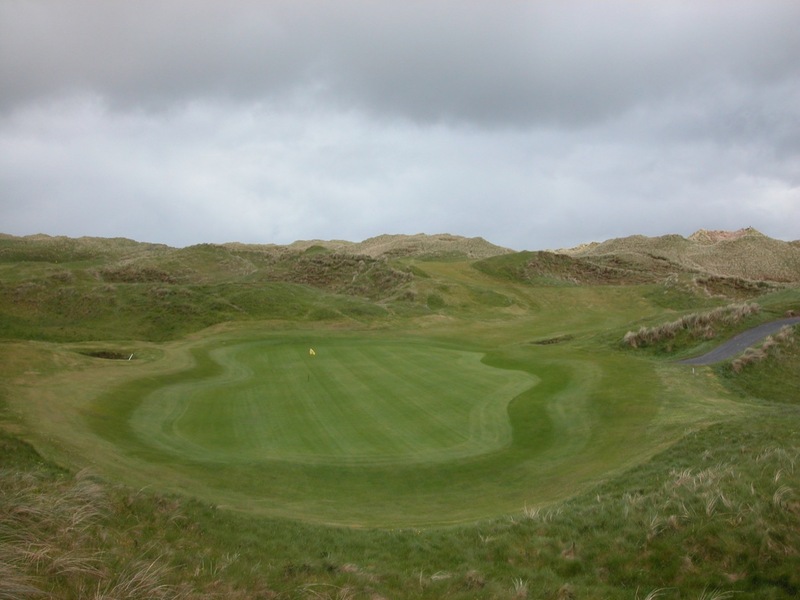 The Enniscrone layout is a bit unusual with five par-5’s, but four of these are among the best and most difficult we have played in Ireland. 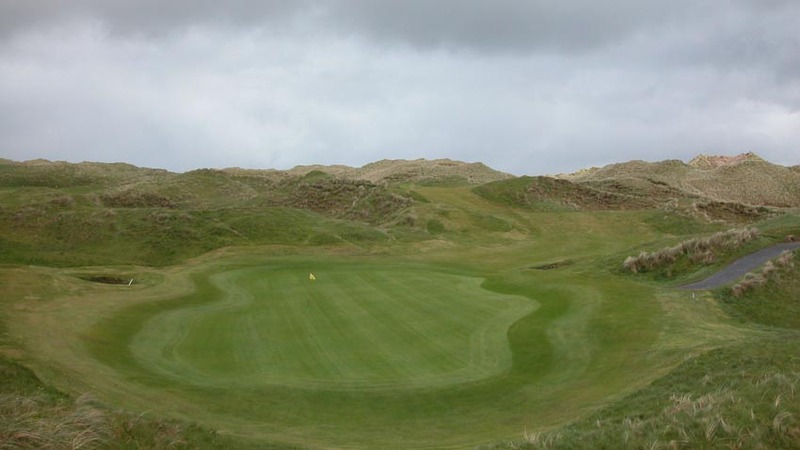 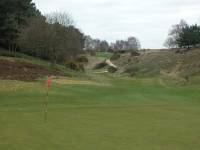 Long, all seemingly into the wind, winding and undulating through the dunes, what tough and challenging golf holes! 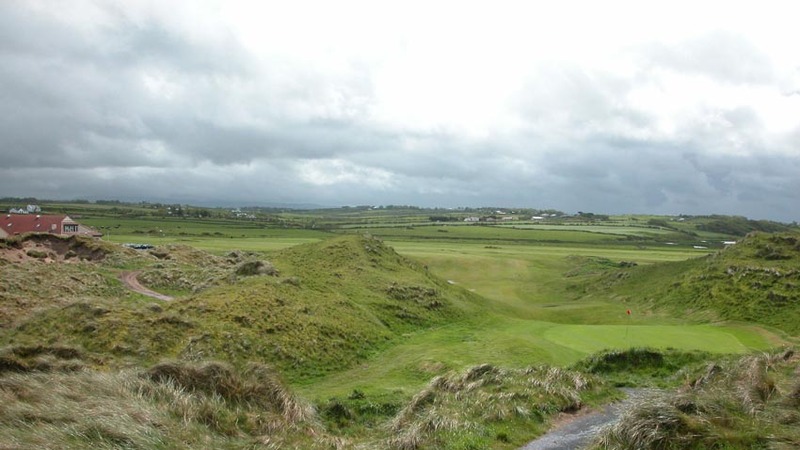 Buggies are available at Enniscrone, so don’t let the terrain deter you. 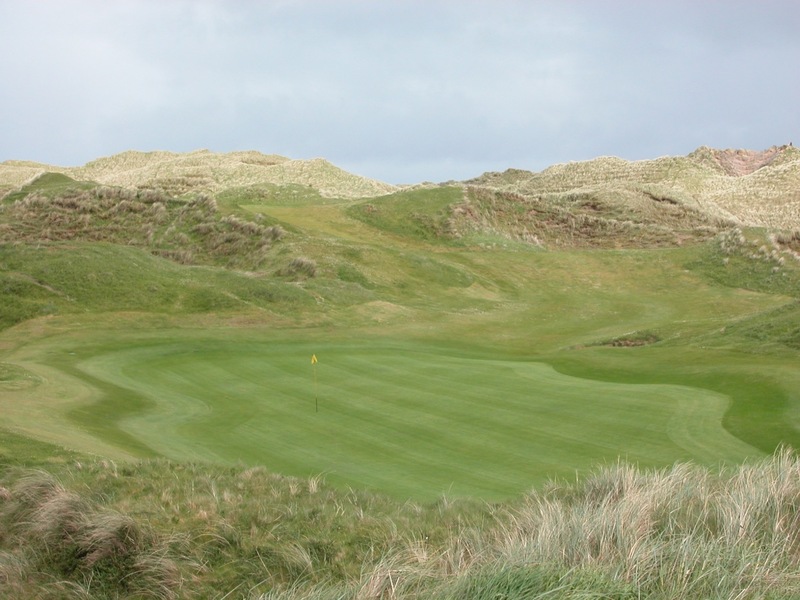 Enniscrone Golf Club is an absolute must for low handicappers, and those who want to test their games to the limit on their Ireland golf tour!